To All the Brides...Thanks for stopping by! We would like to thank all the brides to be, friends and families for stopping by our booth recently at the 1620 Hotel. It was nice to connect with you all and hear all about the plans you have for your Big Day! We are extending the $300 Print Credit to our Expo Brides only if you book before April 30th, 2018. 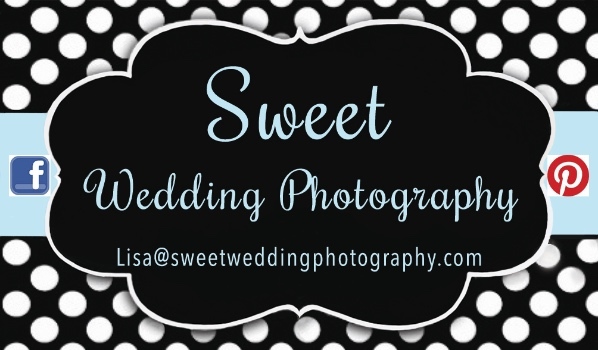 To book us as your wedding photographers requires a deposit of $500 that gets put towards whatever package you choose. Picking out the package doesn't have to be done at the time of booking and can be decided once you reserve your wedding date. We are excited for this upcoming season as we have plenty of new products we will be providing to our product line. Stay Tuned...more photos to come shortly! As a photographer our job at weddings is to document the day's events and capture all the little (and big) details...and more. Sometimes it's things that some people overlook. The Big Day The Chapel that Tom and Katy got married in looked very old with that special charm and exquisite detail you rarely see today in new construction. When speaking with the priest prior to the wedding ceremony I was told that the Chapel was only 4 years old. The builder was brought in from Portugal to undertake the job. The result was nothing less that breathtaking and beautiful. From the stain glass windows to the granite, marble and stone areas this was the perfect setting for a wedding. The Bride wore a mermaid style wedding gown with sequins and beads throughout. The tulle that lined the inside bottom of the gown created a flair along with a long lace train. To add a little piece of her own fashion, she wore a set of hot pink strap suede sandals. She was absolutely stunning from head to toe. Usually as photographers we direct the Bride and Groom with the formal poses and group photos with their wedding party, friends, and family and as soon as those photographs have all been taken the creativity begins for the intimate photos of just the two of them. For artists like myself, this is probably one of the most exciting parts of the job. Watching the way the Katy and Tom connect with each other, laughing, smiling, ...it's not hard to capture it all in just the right way through the lens. When it came time for the reception, they had everything well thought out. Katy made sure to add that personal touch by displaying old photographs of generations past on their wedding day... leading right up to present day with photos of themselves. The Groom's brother had a special song written for the happy couple that he also sang for everyone on an acoustic guitar. The lyrics alone were very emotional as he talked about how he never for a minute thought he was losing his brother but instead was gaining a new sister. He welcomed her into the family in front of all the guests as a teary eyed Katy got up from her table to hug and thank him. It was a very special moment. For the rest of the reception they had a DJ and a 3 piece band that played a little bit of everything. The air was filled with so much music and laughter, it was not hard to get into the moment along with the crowd as they all danced the night away.